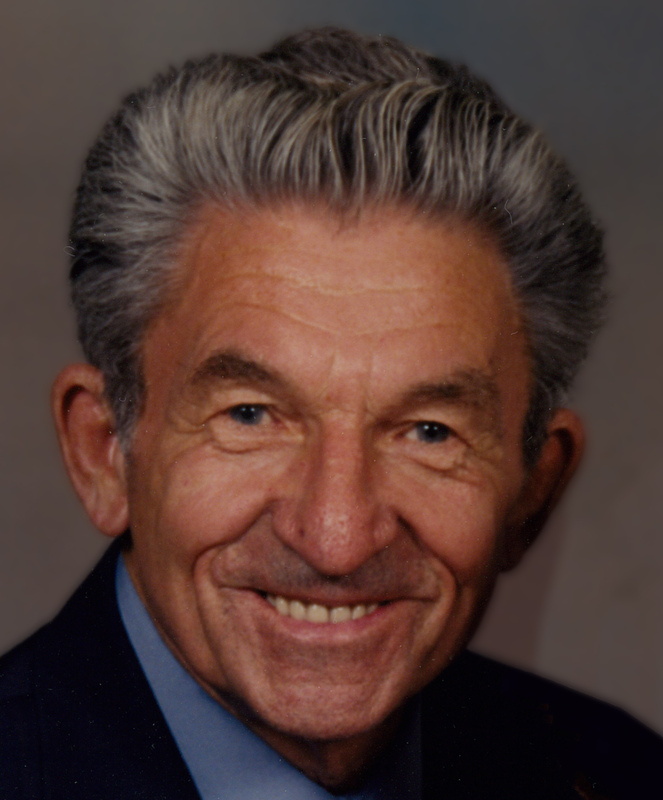 Edward Groves passed peacefully at Saint Luke’s Kansas City Missouri hospice house. He was surrounded by his caregivers and a room filed with loved ones. Born in Edwardsville Kansas, he was the son of Walter P Groves and Alice Ann Anderson Groves. 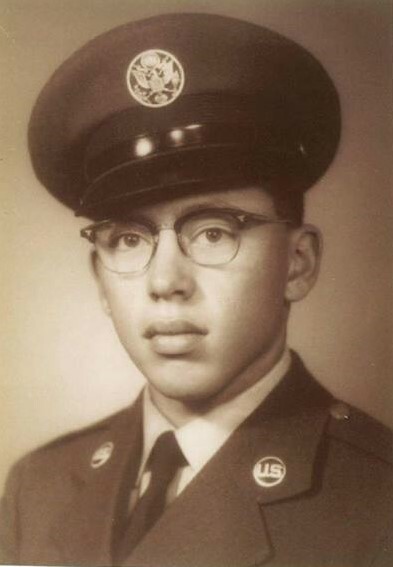 After graduating high school, he went on to become an 82nd airborne paratrooper (triple Nickle). He was employed at Olan Kraft (Union Camp) and was a truck driver and retired from there in 1987. In his free time, Eddie to loved cook, travel, have a few drinks and spend time with friends and family. He’ll be remembered for always having a glass of whisky and spending his summers under the shade waving at every passerby whither he knew them or not. Edward is survived by eight children (and spouses) Mark Edward Groves (Gladys), Joyce Holland (Steven), Henry David Groves, Alicia Salazar (Adrian), Vincent Groves, Jerry Edward Groves, Terry Groves (Mindy), Charlie Groves (Crystal); twenty-three grandchildren and 8 great grandchildren. Celebration of Life will be held on Saturday, January 20, 2018 from 2:00 ~ 4:00 PM at Abundant Harvest Church, 4830 Shawnee Drive, Kansas City, KS. It sits next to the funeral home. Sharon May (Estes) Williams, 75, passed away unexpectedly on Friday, January 12, 2018 at St. Joseph Medical Center due to complications from the flu and pneumonia. She is survived by her loving husband of 56 years, Daniel E. Williams, her son, Michael A. Williams (wife Patricia), her daughter, Cynthia A. Totty, four grandchildren—Casey, Tanner, Taylor and Logan—and one great granddaughter, Holly. She also leaves behind two sisters--twin sister Karen Wilson (husband Jim) and Mary Lou Weeks. Sharon worked as a Southwestern Bell switchboard operator, Certified Nursing Assistant at Spellman Memorial Hospital, and consummate homemaker. She was the most kind-hearted, selfless and beautiful person we’ve ever known. Our mom/grandmother/sister was the matriarch and glue that held our family together. We all aspire to be as loving, benevolent and giving. Her positive spirit will be greatly missed. Chia Chue Yang, age 75, went to be with the Lord on Monday, January 1, 2018. Mr. Yang is survived by his wife of 54 years, Mai; six children – Xue (Robert), William Cheng Kao (Mang), Song, Thy (Seth), Mayly (Steven) and New Shoua Abraham; three grandchildren – Abigail, Belle and Kyle; his four sisters – Pang Chang, Blia Yang, Ger Lee (Chou) and Lee Thao (Chu Chor); and brother Nhia Xao (Chue). He is preceded in death by his parents Xia Shoua and Yeng; brother Chu Fong and sister Chow Chang; daughter Mee and son at infancy. Chia Chue was born in Laos on August 26, 1942. He proudly served during the Vietnam War under the CIA’s Special Guerilla Unit from 1966-1975. Captain Yang was a Group Leader of Battalion GM21, Company 206. He assisted with search and rescue missions, delivered supplies and was an airborne radio operator. He was wounded and awarded the Purple Heart. Captain Yang has also been honored with a National Medal, Congressional Citation, Air Commando Citation, American Legion Gold Heroism and Defenders of Freedom. After the fall of Saigon, Mr. Yang and his family fled Laos. In 1976, by the grace of God and compassion of the Lutheran Immigration and Refugee Service and Pastor Luther Anderson, the Yang family started their new life as Americans in Fort Lauderdale, Florida. Mr. Yang and his family settled in Kansas City, Kansas in 1980 where he paved the way for many of his Hmong family members left in Laos and Thailand to escape to the United States to pursue the American dream. Chia Chue was an elder of the Yang clan. 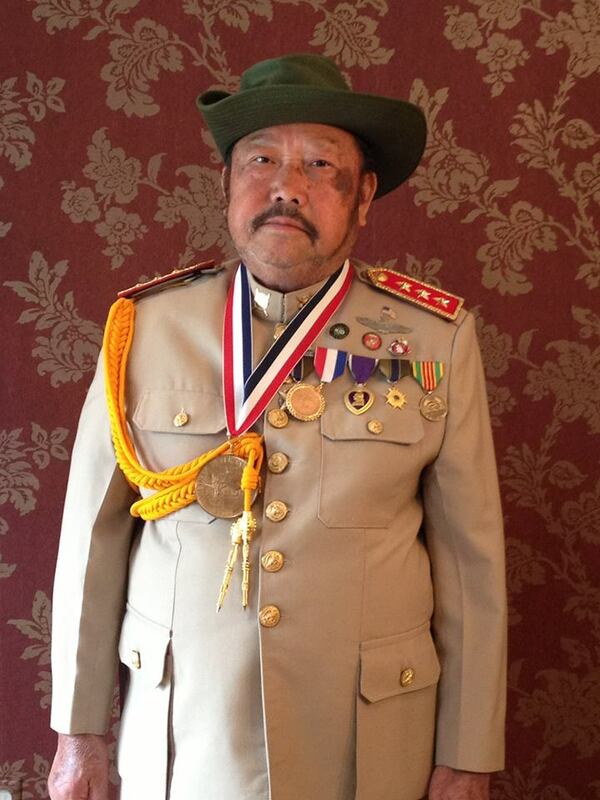 He was a member of the First Hmong Christian Missionary and Alliance church. He enjoyed working with his hands and retired from SOR Inc., in 2008. Chue was an avid outdoorsman, skilled hunter and fisherman. Above all, Chia Chue was a family man that encouraged everyone up until his last words to love each other (“sis hlub, os”). Services will be held at Faith Deliverance Family Worship Center in Kansas City, KS on Saturday, January 13 at 10 a.m. and 5 p.m., Sunday, January 14 at 5 p.m. and Monday, January 15 at 9 a.m. Burial will follow at 11:30 a.m. at Gate of Heaven Catholic Cemetery in Kansas City, KS. The Yang Family would like to extend their sincerest gratitude and appreciation to all the family and friends, near and far that prayed for Chia Chue and shared in his last days. They are also eternally grateful for the love and support the First Hmong Christian and Missionary Alliance congregation has provided as we honor our father and husband one last time. 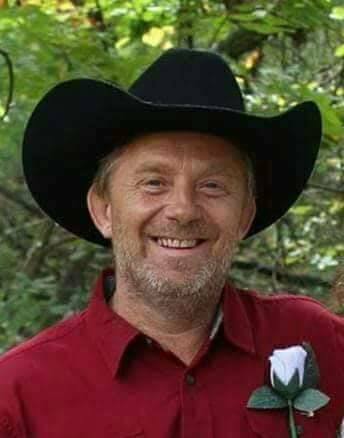 Rialino Martin Kermen, 42, of Kansas City, Kansas passed away on Wednesday, December 20, 2017 at Northcare Hospice House in North Kansas City. Services will be held on Saturday, January 6 from 12:00 ~ 5:00 PM at Kansas City Funeral Directors, 4880 Shawnee Dr., Kansas City, KS 66106. Additional parking can be found at Abundant Harvest Church next to the funeral home. Burial will be in Pohnpei, Micronesia. Troy Allen "Opie" Stroble, 47, of Kansas City, KS, formally Pleasanton, KS, passed away unexpectedly Friday December 29, 2017 at home. Troy was born May 20, 1970 at Providence St Margaret. The son of the late Michael W Sr. And Judy E (Dillon) Stroble. Troy was proud to have been born and raised in Armourdale. He was a 1988 graduate of Harmon Highschool. He was a forklift operator at Metropark warehouse, and a member of First Baptist Church of Turner. Troy was so proud of his kids and grandkids, he spent his free time with family, or fishing at Pierson Park or down at the River. Troy was a simple hardworking man, never judging anyone, he loved his farm life with his dogs and goats, he loved his Kansas City Chiefs, and his Red Chevy pickup. He will sorely be missed by all those that he touched. He is survived by his wife, Senda Stroble of the home. 9 kids. Brandon (Bobbie Worthey) Stroble of KCK. Lisa (Richard) Moore, Trisa ( Joshua Stull) Stroble of Basehor KS. Troy (Cassie) Wynn of KCK. Donny (Dianna) Sutton Grandview, MO. Richard Stroble, Overland Park, KS. Paige Stroble, Pleasanton, KS. Kathryn Hampton, Lylian Hampton, KCK. 1 brother Michael (Sonja) Stroble, Trading Post, KS. 1 sister Lori (Lance) Brown, KCK. 15 grandchildren. Timothy, Madison, McKenzie, Alexandria, Jurney, Reymundo, Serenity, Rylee, Gabriella, Paislee, Kansas, Grayson, Malaya, Richard Jr. And Kalix. Aunts, Uncles, Nieces and Nephews. Troy was preceded in death by 1 grandson, Lathan Moore, his grandparent's, 1 aunt, 1 uncle. In Liu of flowers the family suggests donations to help with funeral expenses. Funeral services will be held at 10:00 A.M. Friday January 5, 2018 at First Baptist Church of Turner, 701 S 55th St. KCK with Pastor Steve Neal officiating, burial will be in Shawnee Mission Memory Gardens, Shawnee. A visitation will be held Thursday January 4, 2018 at First Baptist Church of Turner, 6:00-8:00 P.M.
Dan K Torres, 79 of KCMO passed at the home on Wednesday, December 20, 2017. Service will be Saturday, December 23, 2017 at the Life Church of Kansas City, 10400 Viewhigh Drive, KCMO 64134. Visitation will be 11 am to 1 pm prior to service. Burial at Maple Hill Cemetery, Kansas City, Kansas. Dan is survived by wife of 52 years, Alice M Torres; five children, Lindie, Gary, Erin, Danny and Ronnie; 10 grandchildren; 9 great grandchildren; brother, David Lugo; sister, Brenda Serrino and a host of family and friends. Dan retired from the KC Water Department after 30 years. He served his country in the US Air Force as a B52 bomber tech. 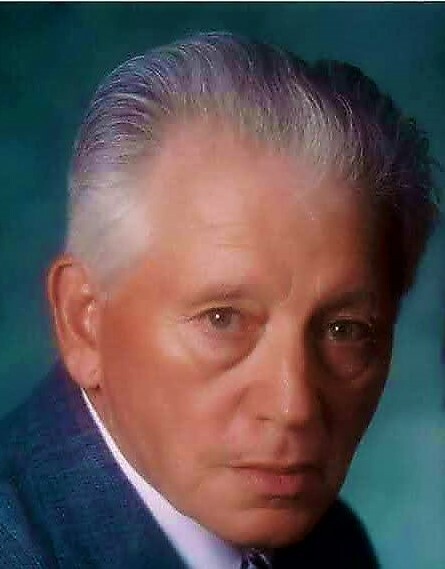 He was a member of The Life Church for more then 50 years. He was a hard working man and very much loved by all. Dan will be sorely missed. He attended public schools in Corvallis, Oregon – and was always proud to have been elected President of the Student Body of Highland View Junior High School. Graduated from Corvallis High School in 1962, a year ahead of his class, and attended Oregon State University. Perry married Barbara Randolph Selfridge March 8, 1969 in Renton, Washington. While working for Household Finance in the state of Washington, he was promoted and moved to Dallas Texas in 1975. He worked as a general man ager for Treat America, and later, in Kansas City, was Vice President for Marketing and Sales for Business and Industry Health Group. He then worked as Account Executive for Clinical Reference Laboratory. He retired from CRL in 2011. Perry and Barbara had two children: Kimberly Selfridge and Krista Selfridge Hoffman, and four grandchildren, Kimberly’s daughter Brooklyn, and Krista’s sons Joshua, Jacob, and Jesse. Brooklyn married Isaiah Mendell in 2015 and provided them with great grandson Noah Perry. Perry was involved in the Church of the Nativity in Leawood, Kansas, from its inception, for over 30 years. 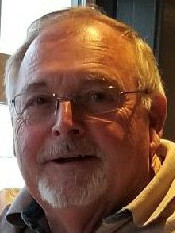 Some of his involvement included being a Eucharistic minister, lector, in the choir, RCIA Sponsor, a member of the Stewardship Committee, and in February 2009 joined Knights of Columbus, Council 11067. 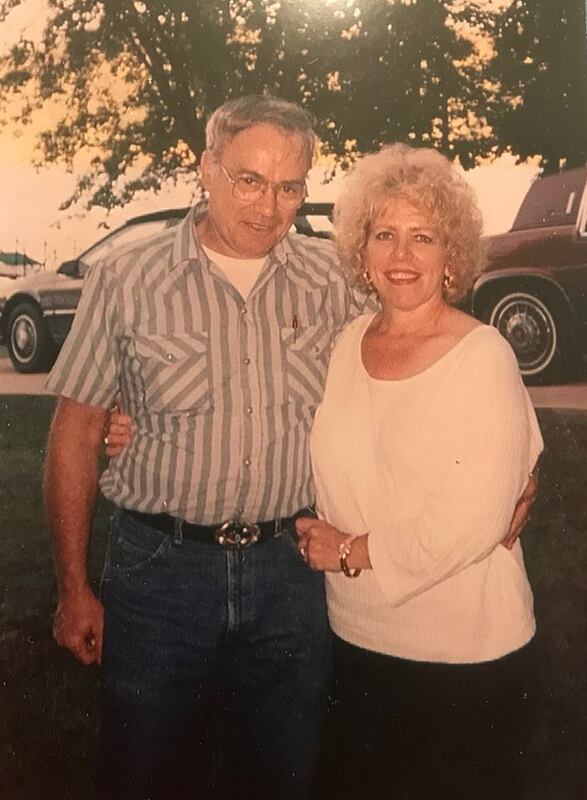 Perry loved golf, his Kansas City Chiefs, the Oregon State Beavers, soccer, and immensely enjoyed any and all activities with his children and grandchildren. God's Kingdom has increased with the addition of this great man: loved, admired, and respected by so many. His infectious laugh will be greatly missed. Mary E. Dinneen (Acosta) died peacefully in Kansas City, KS on Saturday December 2nd, 2017 at the age of 72. Mary is survived by her husband Bob, sons Rob (wife Wendy), Darrik (wife Laura) and Jason (wife Julie), grandson Jacob, granddaughters Rylee, Tatum, and a new granddaughter in February 2018. She will be placed to rest next to her parents in San Diego, CA In lieu of flowers donation to Kansas Health System. Albert 'Bert' DeLeersnyder, 89 passed away Wednesday 2/15/2017. Bert was born 12/19/27 in Kansas City Ks to Adolf and Irma (Cordy) DeLeersnyder. 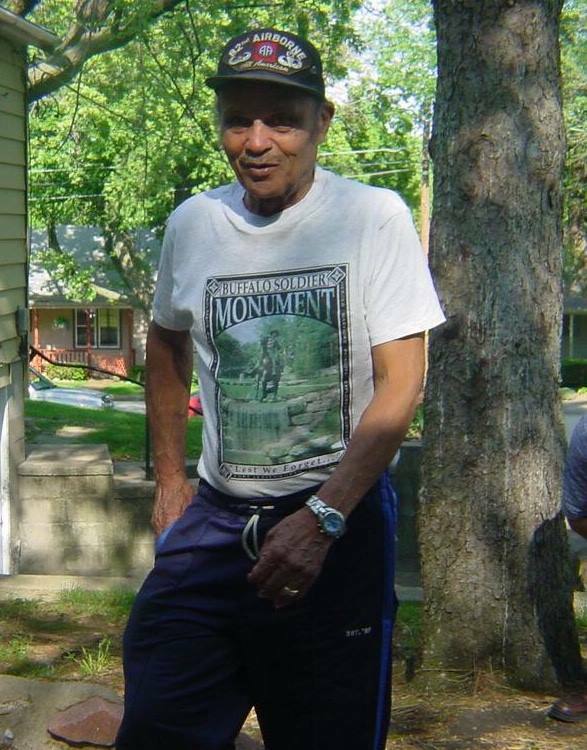 Always busy, he enjoyed repairing lawn mowers and other equipment, bowling, walking and going to grandchildren’s sporting events. He married Helen Baker in May 26 1956. She preceded him in death in 2003. Also preceding him, his siblings, Joe and George DeLeersnyder, Mary Dixon, Margaret Lehnick , Mildred Brawley. He leaves behind one son, Mike (Karen), two grandchildren Chris and Dana and a sister, Francis Boehm.